As a Christian and a formerly homeless person, I have seen how classism seems to run rampant in American Christianity. This is especially evident in what is often called the Prosperity Gospel. 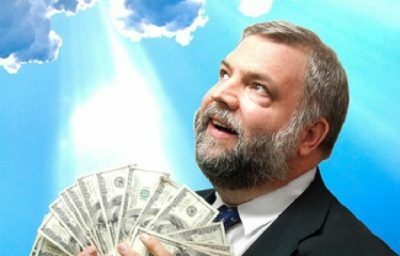 The Prosperity Gospel, in short, is a particularly inviting deception that equates spiritual blessings with material success. Of course, it is entirely conceivable that once a person decides to live according to spiritual wisdom rather than careless foolishness, one might find oneself advancing in material gain. If someone, for example, has been blowing their money on drugs, hookers and other forms of escape, the person would naturally notice a pleasant increase in their financial status once such expenses have ceased. The Proverbs of Solomon are all about that distinction. However, we find such wisdom in many sources other than in the Bible. And I would submit that most of the Proverbs are merely common sense. Besides, it is also quite plausible that a person can be extremely happy living a minimalistic lifestyle with very few possessions at all. In fact, in Matthew 19 and Mark 10, we read of a young man who had “great possessions” who walked away from Jesus in sorrow when advised that he should give up all he owned in order to inherit eternal life. Does such denial of worldly goods equate spiritual blessing with prosperity? Obviously, the opposite is the case. Consider also these very famous Scriptures: “It is easier for a camel to go through the eye of a needle than it is for a rich man to enter the kingdom of heaven.” (Matthew 19:24) “The love of money is the root of all evil.” (1 Timothy 6:10). And without bothering to quote every word, passages such as James 5:1-11 and Luke 16:19-31 hurl severe warnings in the direction of the wealthy. But where in the Bible are such warnings thrown in the direction of the poor? Nowhere. To the contrary, Luke 6:20 includes the words: “Blessed are you who are poor.” Where in the Bible do we find the words, “Blessed are you who are rich?” Again, they appear nowhere. Although it is true that the word “prosper” figures in this translation, a quick scan of several other popular translations will reveal nothing of the kind. In the English Standard Version, for example, the phrase “plans to prosper you” reads “plans for welfare.” The same phrase in the time-honored King James reads “thoughts of peace.” So this single verse, taken completely out of context in a modern American translation, is hardly a valid rationale for a deception as extreme as the so-called Prosperity Gospel. In the Bible, where exactly are material acquisitions equated with the kind of provision that brings real fulfillment, inner peace, personal happiness and eternal security? Nowhere, really. The only time when material gain is cited as a blessing from God is in a context where the greater blessing would be the evidence of God’s love. For example, the last chapter of the Book of Job. And love, according to 1 Corinthians 13, abides forever. Material blessings vanish at the grave. And the Prosperity Gospel and the classism from which it was forged needs to vanish from American Christianity. Andy Pope is a lifelong musician and piano teacher who became homeless in 2004 as a result of a costly medical misdiagnosis. In 2016, he escaped 12 years of homelessness in the San Francisco Bay Area by moving to a low-rent district in Northern Idaho. He is involved with the music ministry at Moscow First Presbyterian Church and is a volunteer at the Latah Recovery Center in Moscow, Idaho.